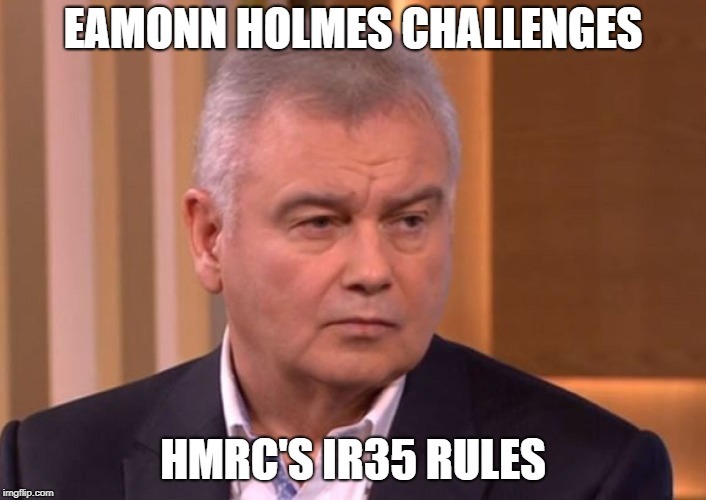 HMRC is challenging the pay ITV host Eamonn Holmes received through his limited company. If Holmes is found to be in breach of IR35 rules, it is believed his company’s tax bill could be in the region of £2m. In an interview with the Mail on Sunday, the ‘This Morning’ anchor revealed that HMRC has launched a ‘test case’ against him, claiming unpaid taxes from the past seven years. Holmes made clear his opinion, that if he loses the case a string of other well-known ITV stars will be targeted next. The Court has not yet announced the verdict from the case and whilst most experts consider HMRC’s chances of winning the case to be modest, the tax authority have argued that Holmes, who presented the first ever GMTV for ITV back in 1993, has become integral to GMTV as an organisation and should be considered an employee. This news comes as rumours of the Treasury finalising plans to roll public sector off-payroll rules to private firms gather momentum. 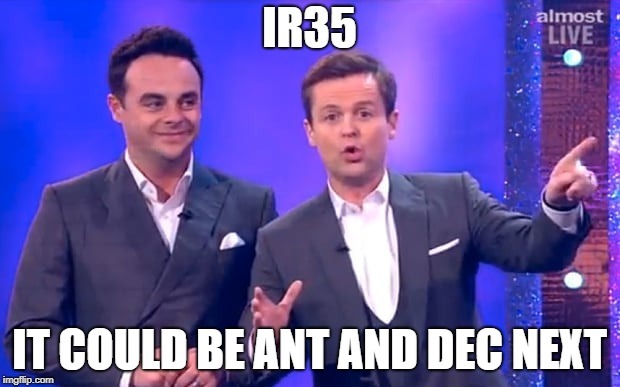 Holmes is not the only high-profile news anchor to come under the IR35 microscope. Earlier this year former BBC presenter Christa Ackroyd ( See IR35 WIN FOR HMRC, Feb 22, 2018) lost an appeal when the first-tier tribunal ruled her personal service company owed income tax and national insurance contributions (NICs) amounting to almost £420,000. Although she is currently appealing against that ruling, BBC Radio star Jenni Murray is also reportedly facing a significant tax bill under IR35, following a winding-up of her PSC to join the BBC’s payroll. Organisations such as the BBC have come under criticism for allegedly coercing presenters to claim salaries through personal service companies, therefore avoiding additional employer taxation liabilities. Responding to the Eamonn Holmes interview, an HMRC spokesman told The Mail on Sunday: ‘It is clear that most TV presenters will fall into the category of being employees based on the nature of their work, and the policy that sets this out has been the same for years. However, Holmes claimed there was “no one more freelance than me,” and that HMRC had “reinvented the rules”. 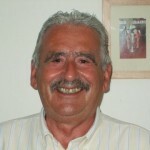 Holmes is estimated to earn around £700,000 a year from his TV work, although the exact arrangements as to how he is paid by ITV, are not known. His company, Red White and Green Ltd, had just under £3.1m in cash, according to its latest accounts dated 30 April 2017, some maybe HMRC thought that he’d be an easy target. Anyone whose tax status is successfully challenged by HMRC under the IR35 legislation could see the tax bill for their companies double, with interest, National Insurance payments and penalties possibly added. The power also exists to transfer any liabilities from a personal service company to an individual director, if their actions are considered to be ‘aggressive tax avoidance’. Given the myriad of complexities surrounding IR35 legislation, leading voices from the contracting sector have warned HMRC to tread carefully when it assesses cases such as the one involving Holmes. QDOS Contractor CEO Seb Maley commented that it was vital HMRC goes about this case and others in the right way and assesses the unique aspects of Holmes’ (and any other presenters’) working arrangements. Dave Chaplin from ContractorCalculator commented that he believes in this particular case HMRC is focussing its attention in entirely the wrong place. “The fact is that high-paid freelancers who earn six figures now pay more tax by operating via a limited company than an employee on the same salary. “The tax efficiencies achieved by hiring someone on a self-employed basis are actually obtained by the firm that hires them, in this case, ITV, who would have avoided having to pay Employers National Insurance of 13.8% on top of whatever monies were paid to Mr Holmes. To suggest that Holmes has avoided tax is pointing the finger in entirely the wrong direction.